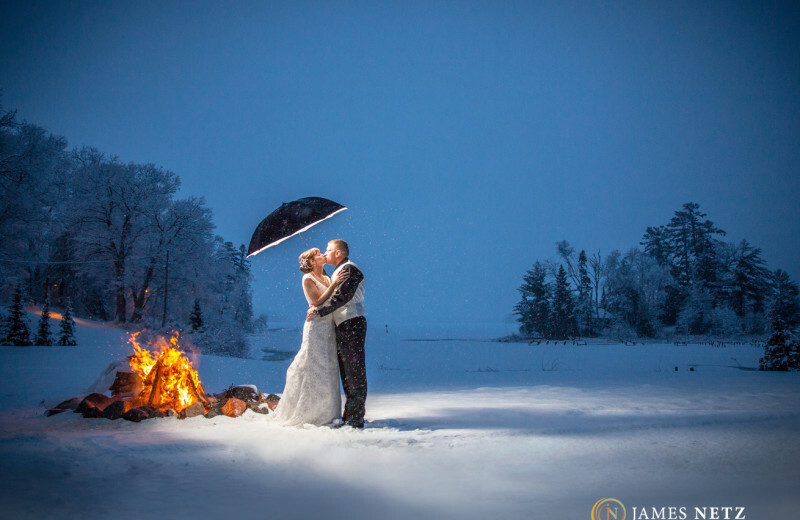 Experience Lake Namakagon and the North Woods to the fullest at Lakewoods Resort. 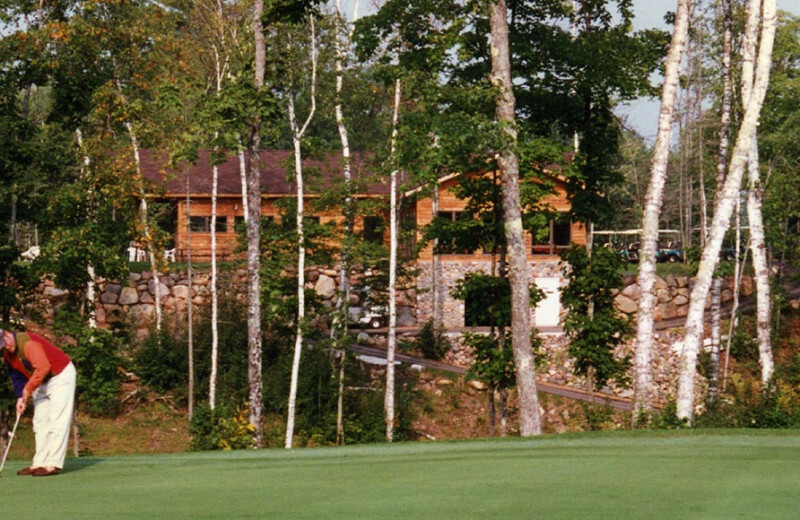 On the shores of Lake Namakagon surrounded by the Chequamegon National Forest, Lakewoods Resort is your center for outdoor activity. In the summer you can indulge in plenty of championship golf, trophy fishing, and boating! 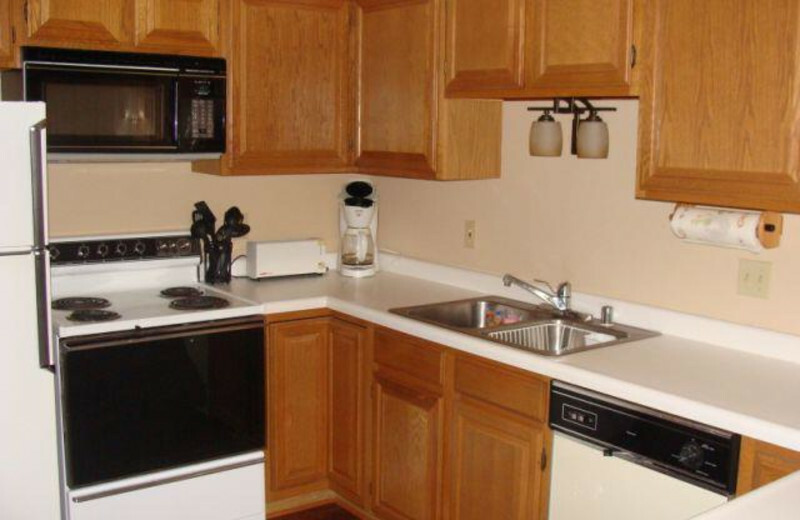 Plus tennis and biking trails are just outside the door. 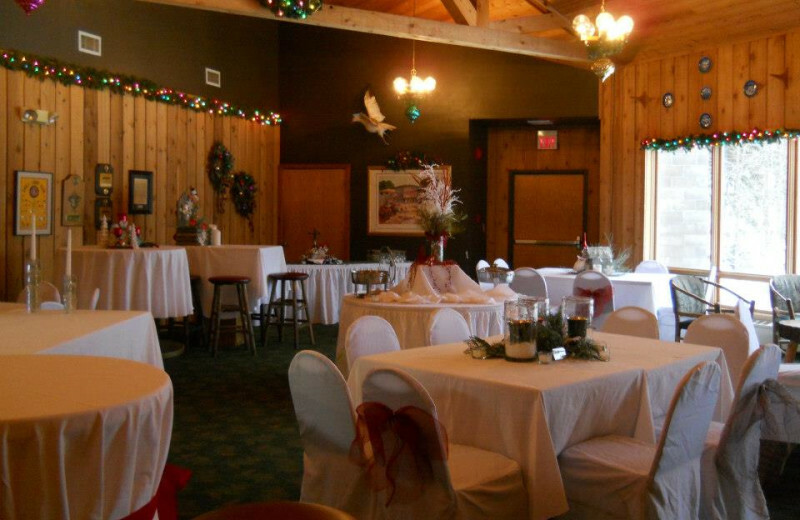 For dining, Lakewoods' Lakeside Restaurant offers delicious regional entrees along with catering on- and off-site. An indoor and outdoor pool, with a hot tub and sauna, invite you to just relax. Lodge rooms, lakeside condominiums, and homes, plus golf villas are waiting for you and feature fully equipped kitchens and beautiful views. 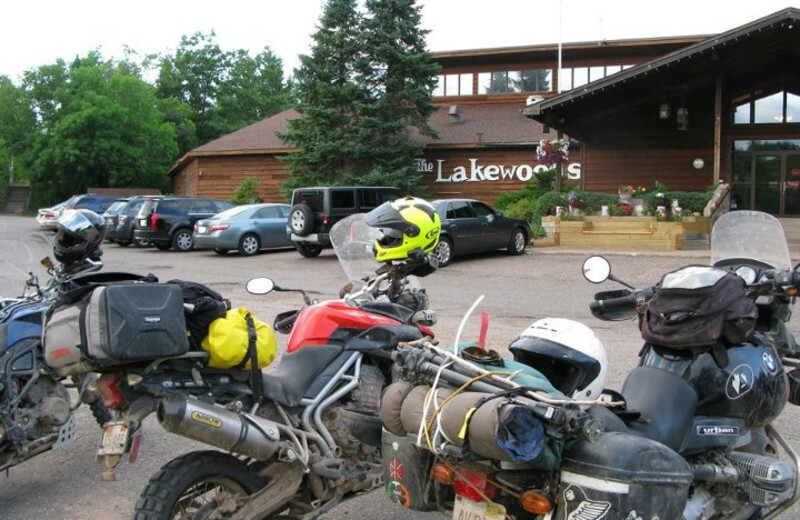 Lakewoods Resort sets a refreshing scene, perfect for your next Northwoods vacation! 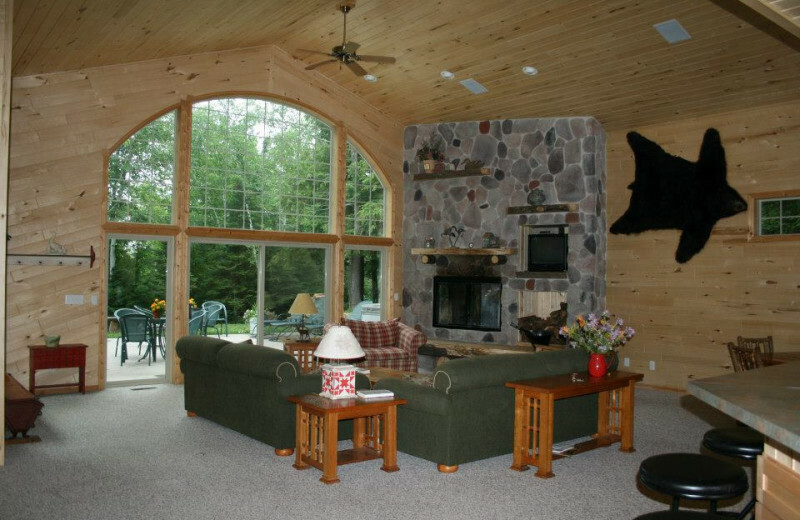 Lakewoods Resort features a private sandy beach area that everyone in your family will enjoy during your next Wisconsin getaway. Whether you are building sand castles, or just working on your tan, there's tons of fun to be had on the shores of Lake Namakagon. Stand up paddleboards, canoes, kayaks, hydrobikes, pontoons, and more are available for rental, to help you enjoy a fun day on the water. 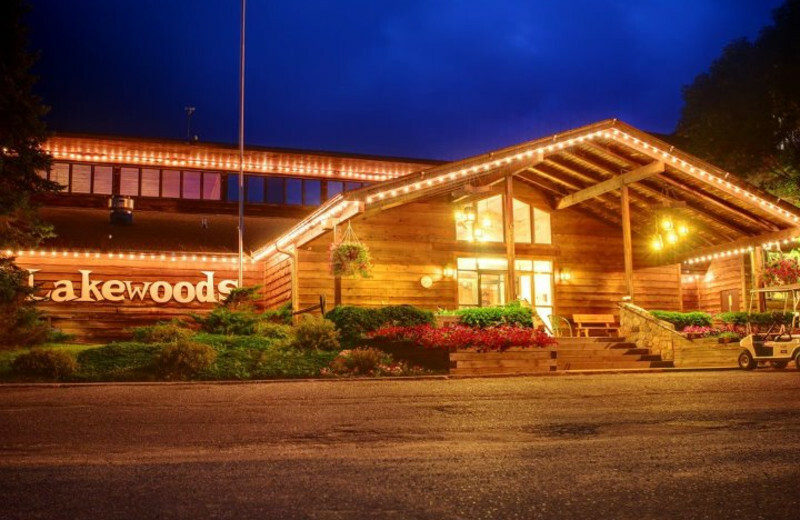 Family-owned and operated for a century - the current owner's great-grandmother opened Lakewoods in 1907 - this resort is the ultimate family getaway. You'll find guided nature hikes, kid's programs including scavenger hunts and sandcastle contests and family bingo with your entire group! 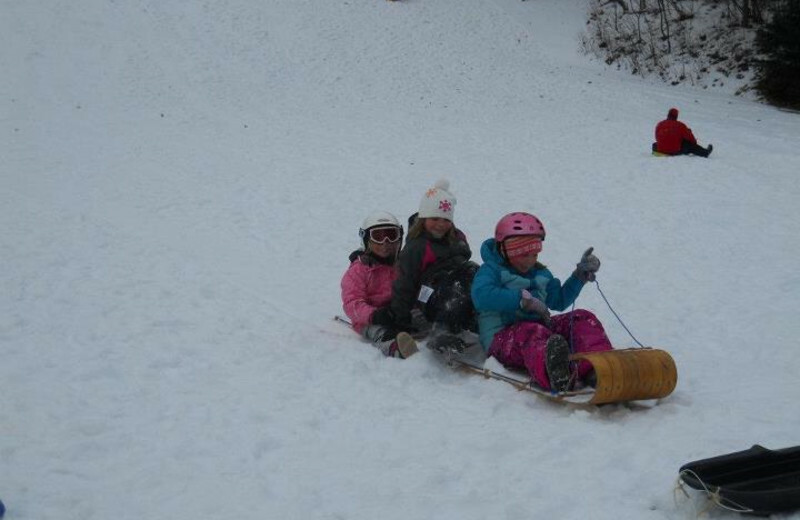 There is simply no end to the family fun at Lakewoods! 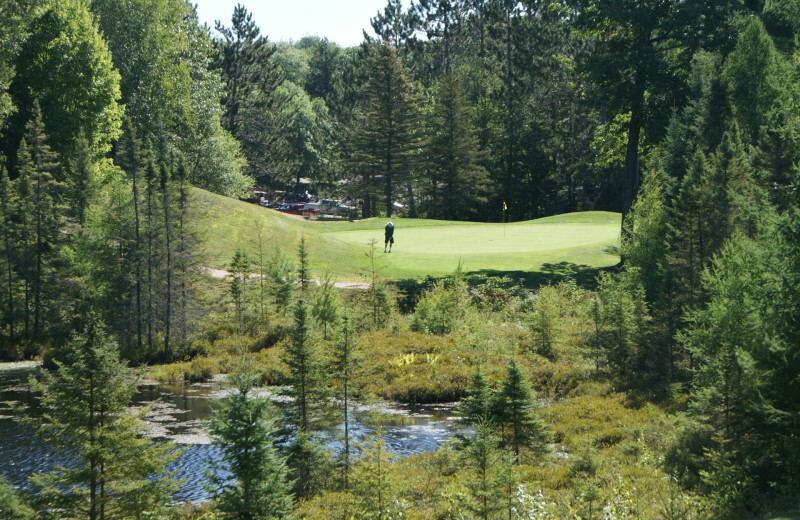 The home of the championship 18-hole Forest Ridges golf course, Lakewoods is a wonderful getaway for golfers. 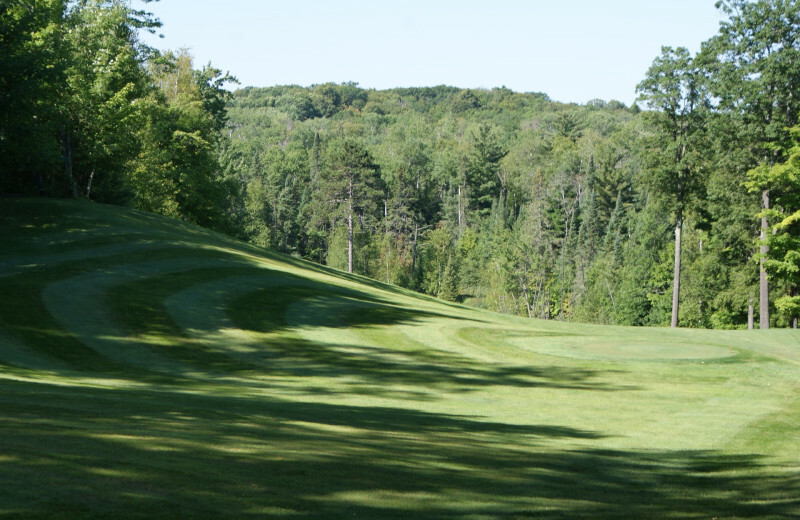 The 6,066-yard course features stunning Northwoods terrain and several tee positions for all ages; and you'll love the area's only on-cart GPS system! There's also a teaching center, pro shop, and driving range. 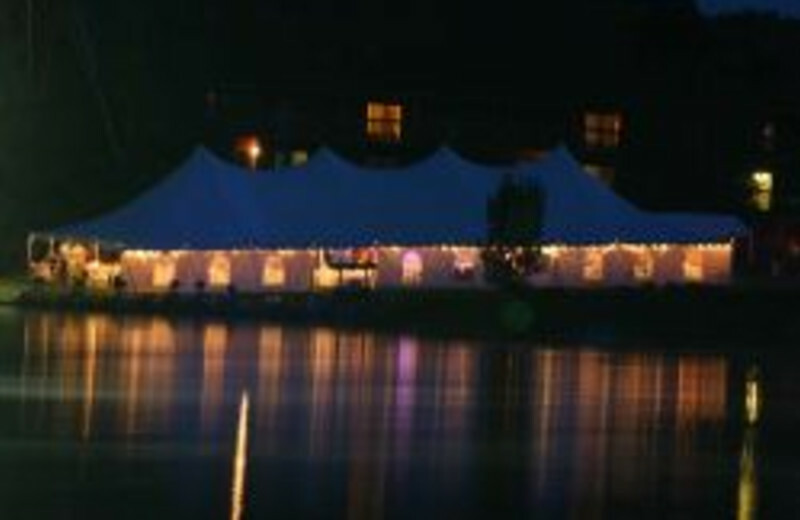 Here you'll find accommodations for large or small groups, many convention and meeting rooms overlooking the lake, banquet menus and expert staff available to help you customize every detail for your next meeting. 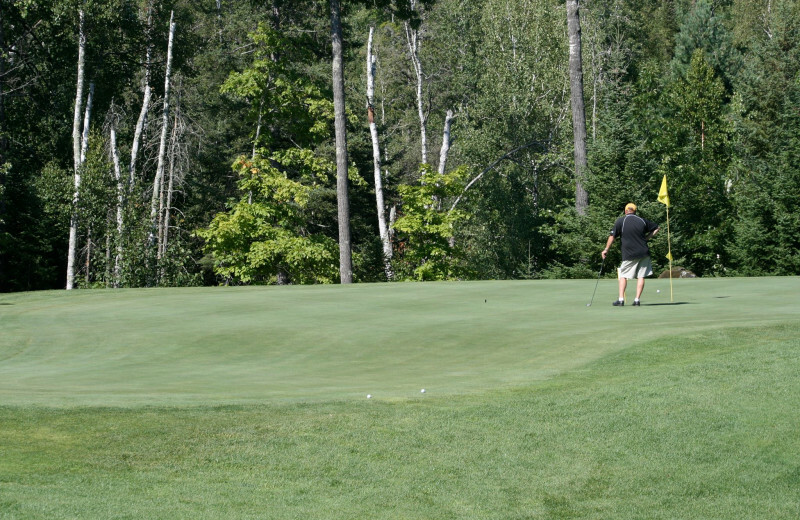 After your sessions, you'll want to schedule a round of golf on the outstanding Forest Ridges course for your guests. 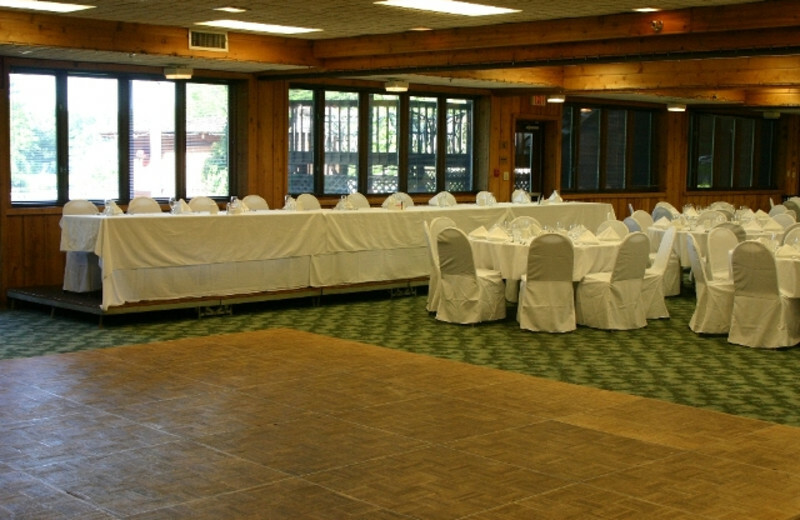 Run your meeting at peak efficiency with Lakewoods Resort! 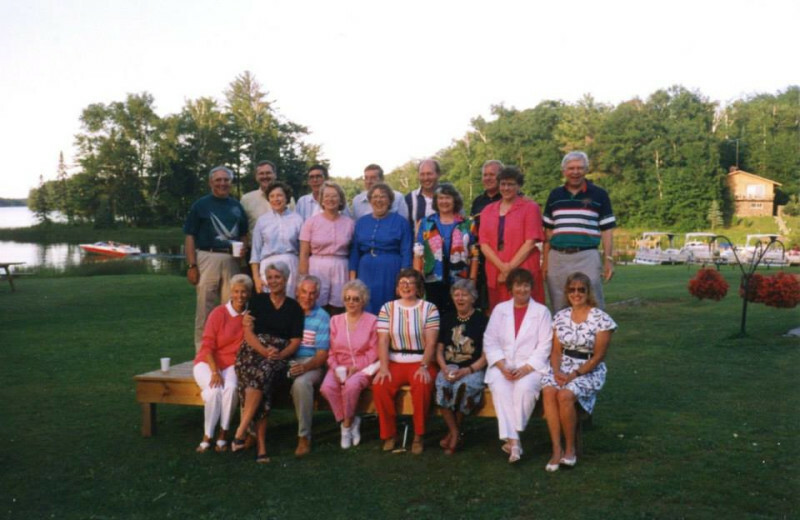 Are you planning Wisconsin family reunion festivities? 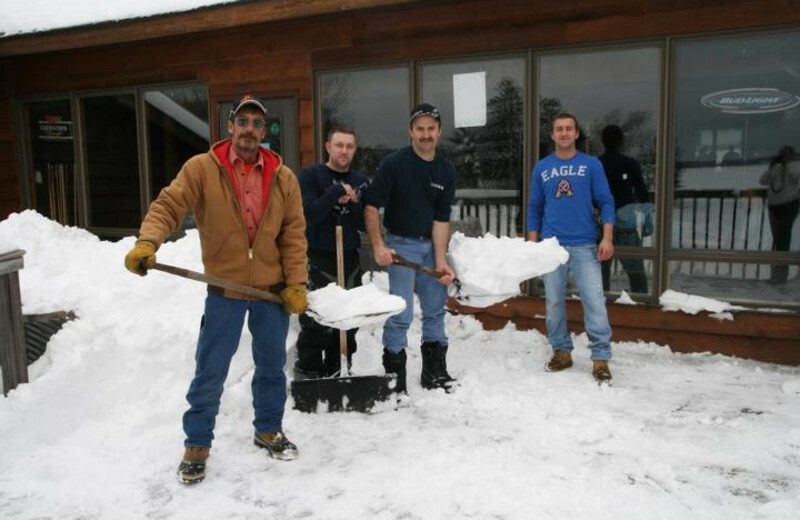 Then bring your group to Lakewoods Resort for a fun-filled getaway. 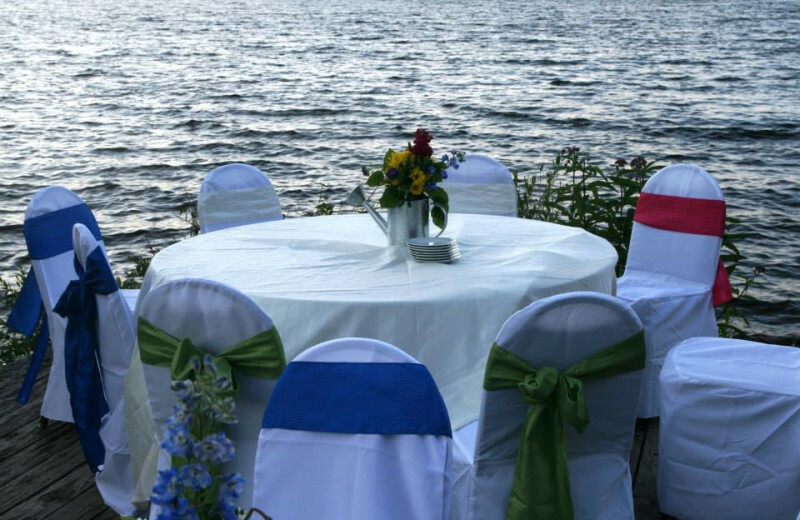 There are a host of reasons why you should hold your celebration with their friendly staff: charming lakeside accommodations, a plethora of outdoor activities, gracious and helpful service, incredible dining, and customized events! Make this reunion an event people will be talking about for years to come! 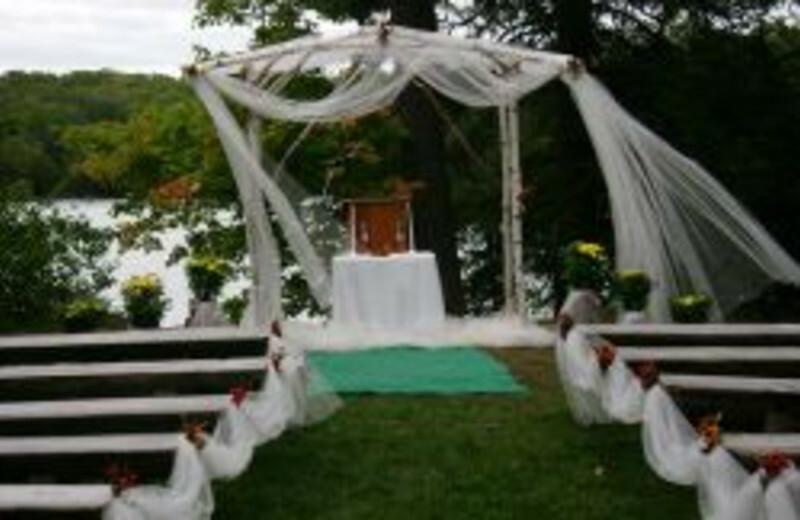 Let Lake Namakagon be the backdrop of your elegant Northwoods wedding. 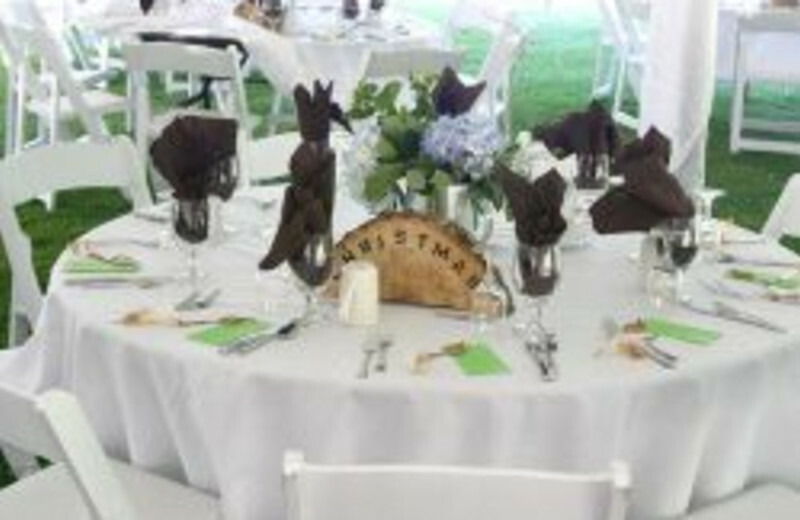 The Lakewoods staff will help you plan the perfect event, from decoration to serving the wedding cake, and much more. 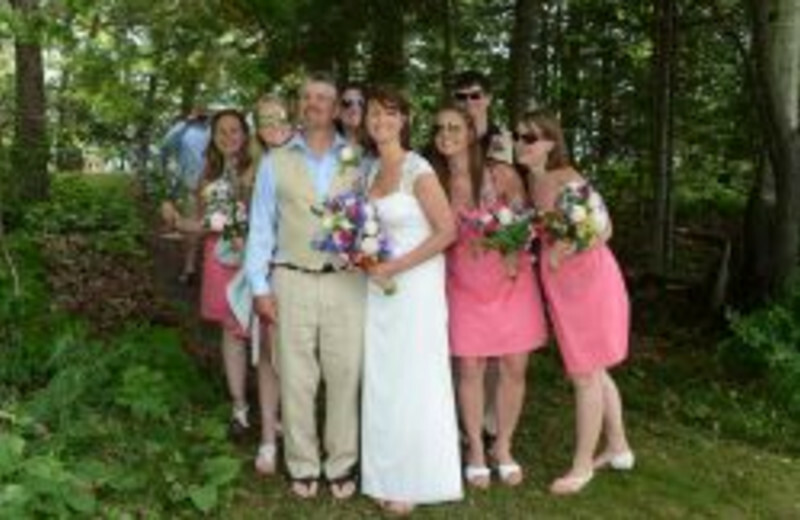 Plus newlyweds will receive complimentary lodging in a honeymoon suite! 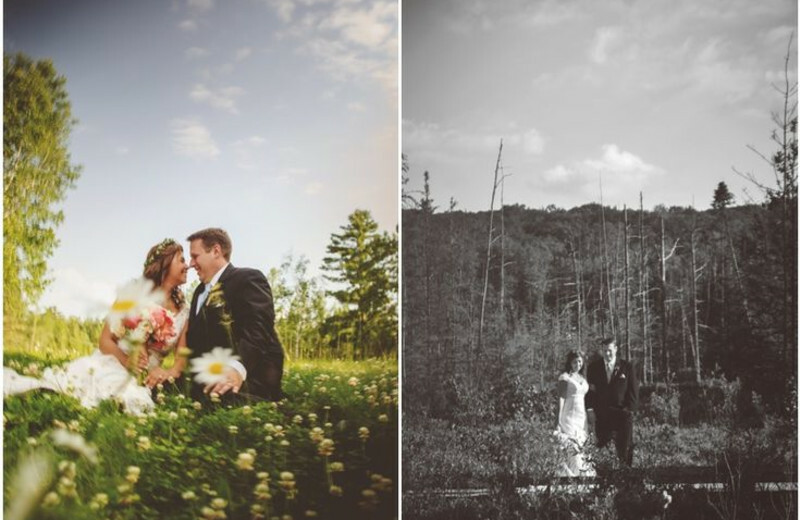 Make it a day to remember at Lakewoods Resort! 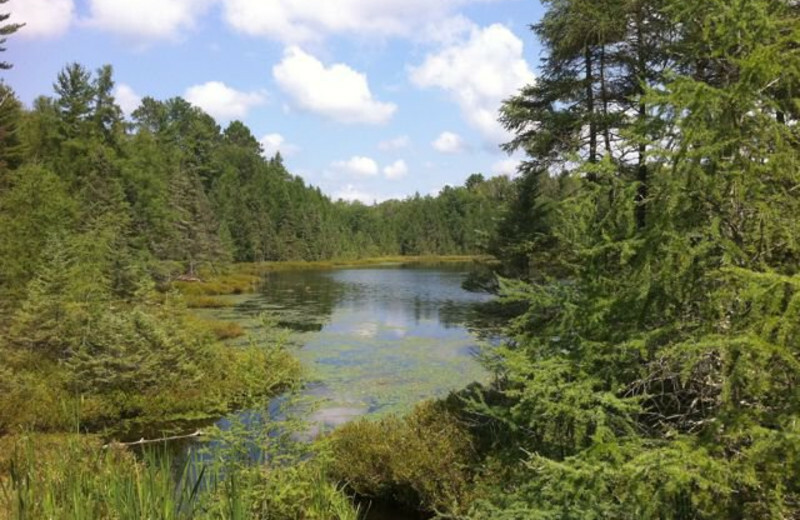 Start with 77 miles of natural shoreline around Lake Namakagon. 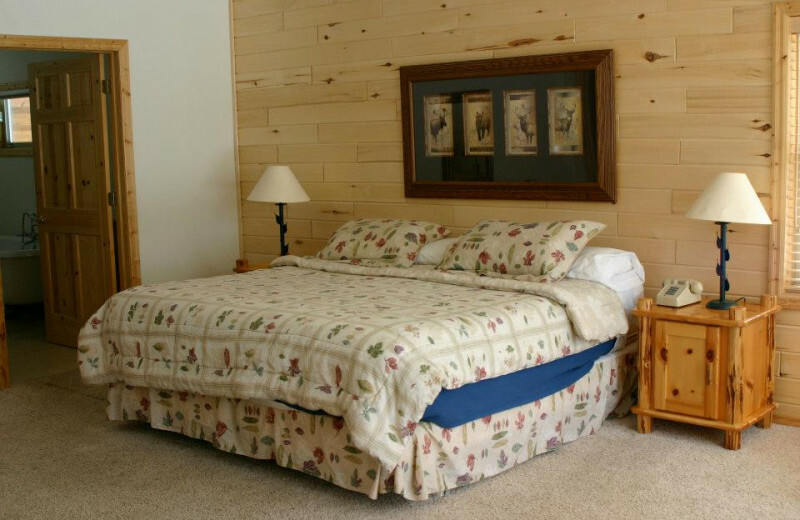 Add in the surrounding Chequamegon National Forest, perfect for wilderness walks and nature hikes; and consider that this resort caters to outdoors-lovers of all types. 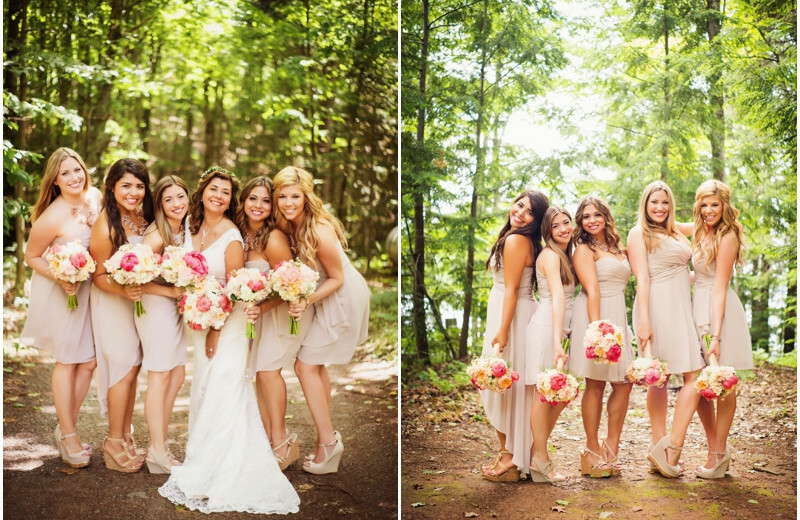 You've got Lakewoods Resort, the ideal place to get away while enjoying nature and each other! 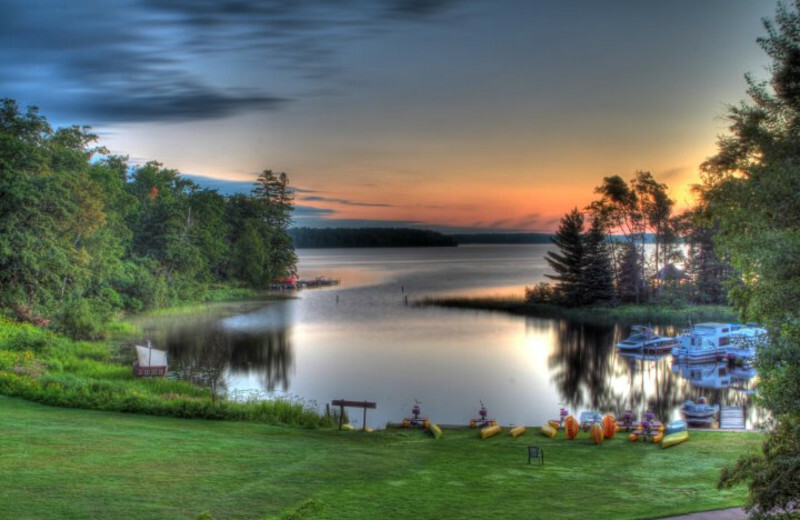 Resting on the shores of Lake Namakagon, one of only three statewide lakes that's managed as a trophy musky lake, the resort is a natural spot for anglers. 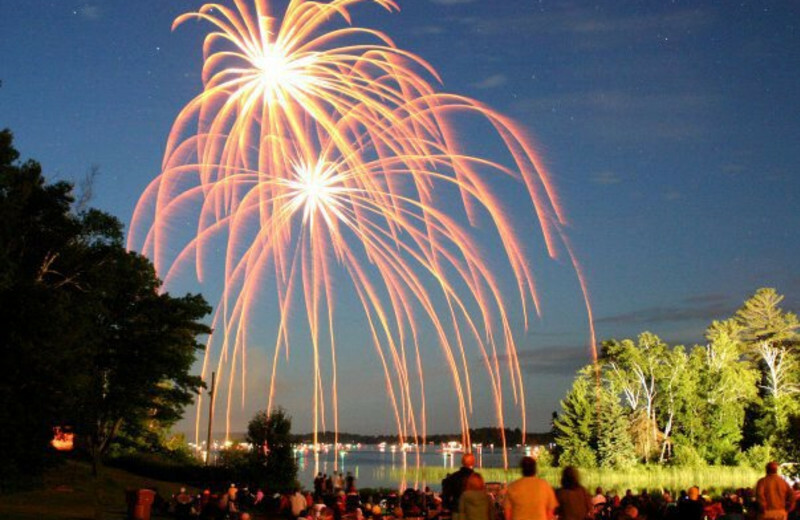 You'll find abundant walleye, bass, northern pike, crappie and panfish, and the Lakewoods Marina provides everything you need for a fantastic day on the lake. 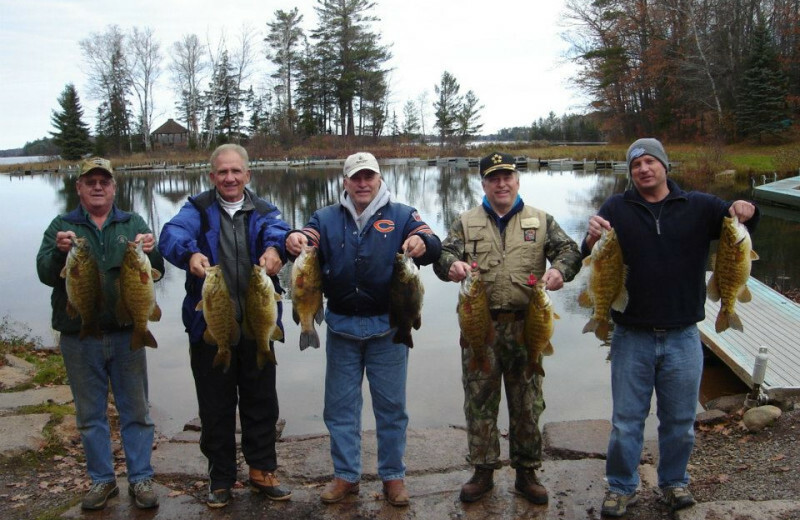 Reel in your next trophy fish during your stay at Lakewoods Resort! 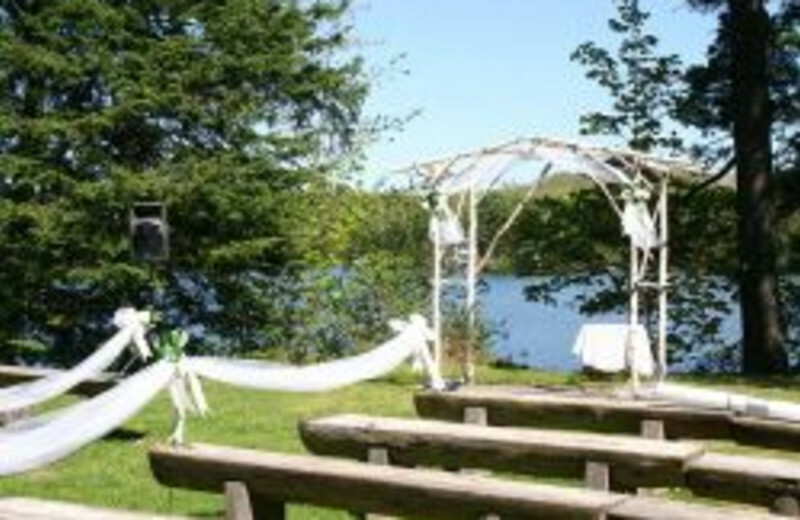 The charming and rustic atmosphere of Lakewoods provides the ideal venue for a getaway for two. Here you'll experience clear blue skies and carefree days. With Lake Namakagon right out the door, bask in the beautiful views and the fresh air with plenty of thrilling water sports. 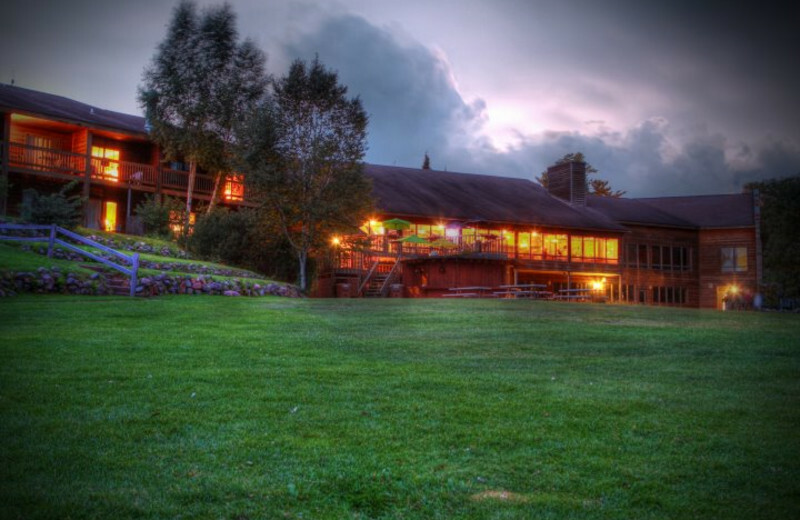 And end the day with a meal at the Lakeside Restaurant. 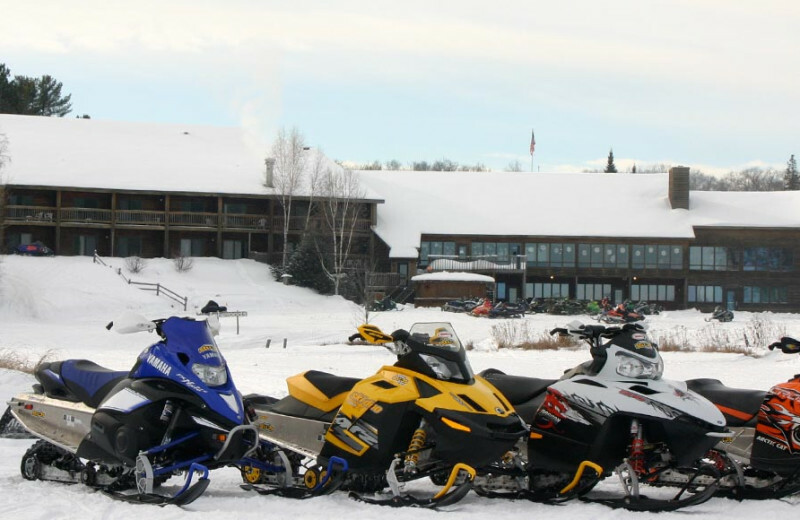 Cross-country skiing enthusiasts will love the easy access to Chequamegon National Forest, and milestone of trails to explore during your stay. For those seeking a world-class venue, the start of the American Birkebeiner ski race is located only eight miles away from Cable. 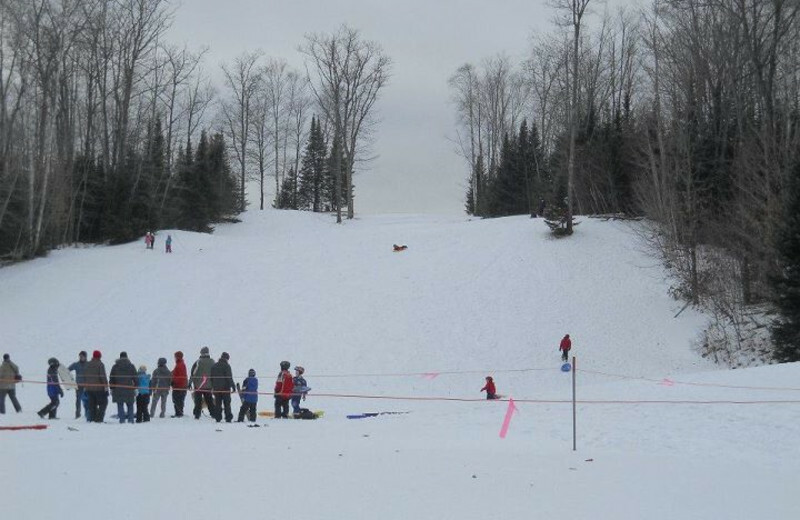 Thousands of skiers make this trek every February; join the fun during your next Wisconsin getaway! 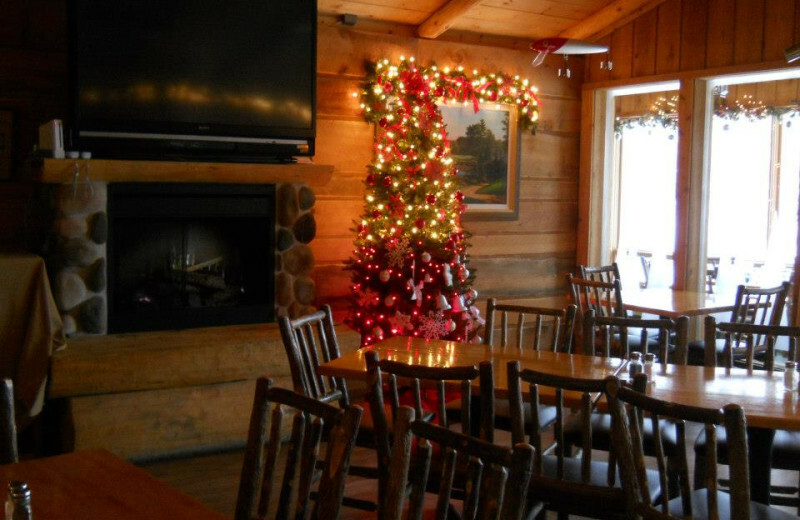 Plan this year's hunting trip at Lakewoods Resort and take advantage of the seasonal Hunter's Package. Small game and archery deer seasons stretch from October to December. During rifle season, you'll receive a free hunting gift, in addition to the trophy buck you'll be bringing home! 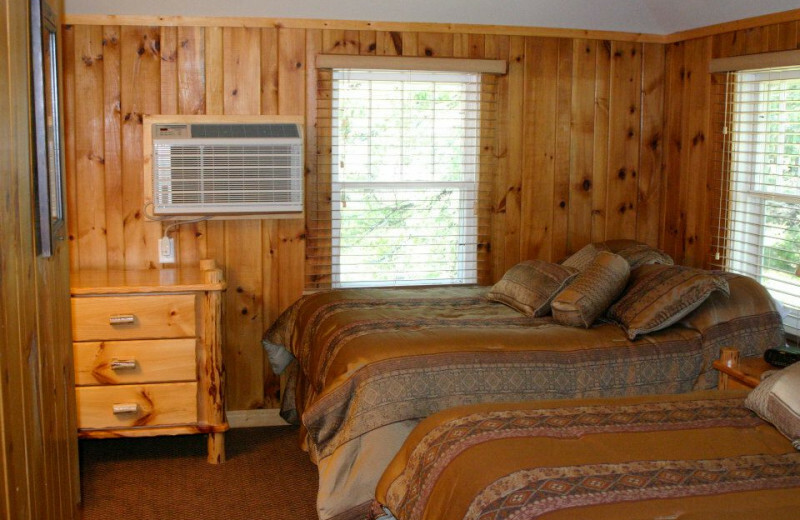 Take your entire family with you on your next trip to Lakewoods Resort! 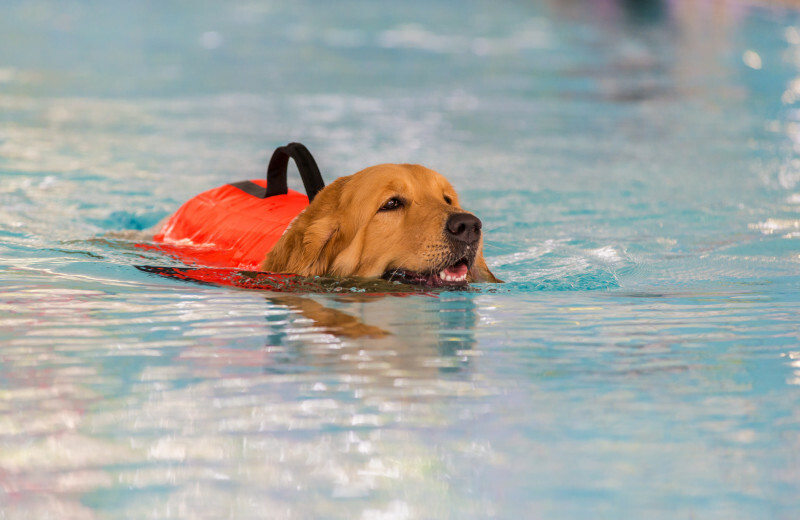 When planning your next trip, let the staff at Lakewoods Resort that you'll be bringing a pet along with you and they'll be sure to make the necessary accommodations. Just be sure to adhere to the regulations and you'll be set for the vacation of a lifetime. 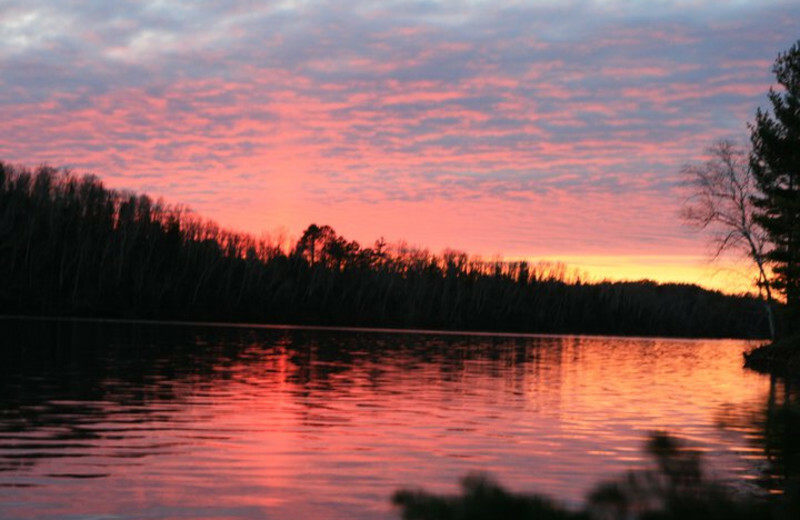 The 3,369-acre Lake Namakagon is Wisconsin's 10th-largest natural lake, and the full-service marina is sure to make getting out on the water hassle-free! You'll find boat rentals for sailing, water skiing, canoeing and fishing, or take out a pontoon boat for an evening lake cruise. At night, enjoy sunsets falling behind the lake. 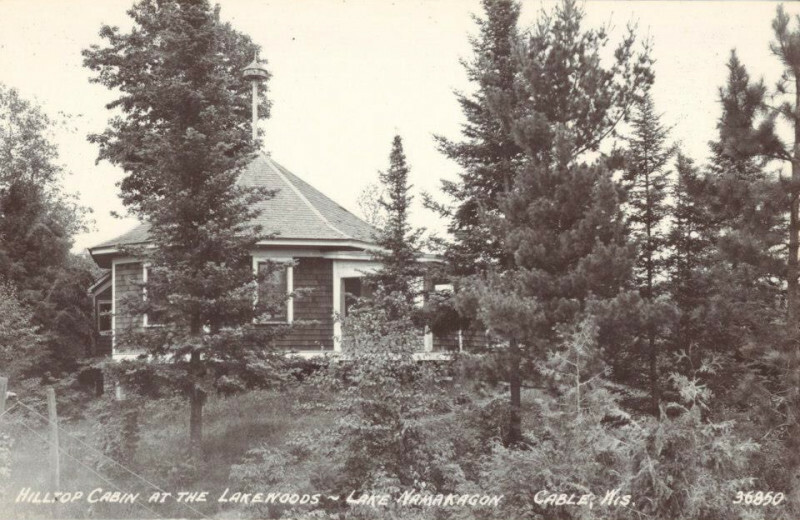 For more than 100 years, Lakewoods Resort has been offering travelers unforgettable family experiences on the shores of Lake Namakagon. 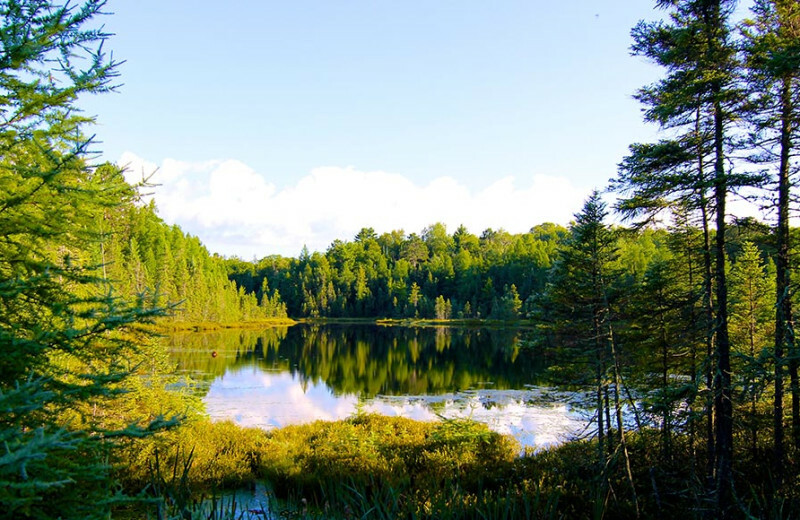 Not only has the property been around for more than a century, but five generations of the Rasmussen family have offered travelers a chance to seek recreation and fun in the spectacular Northwoods of Wisconsin. 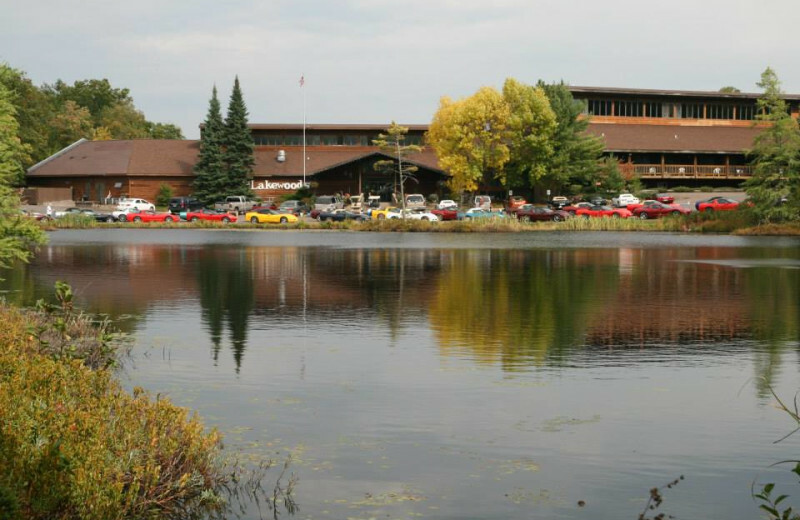 Head to the Lakewoods lounge during your stay to view the property mural and learn more about this historical resort. 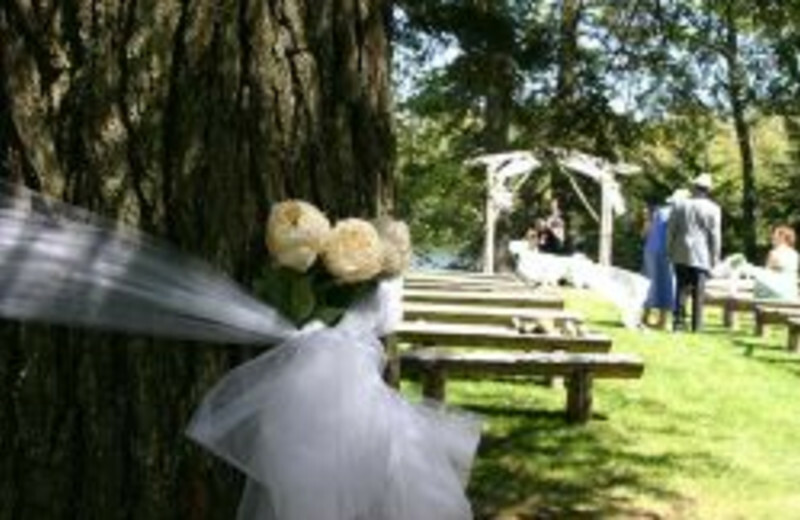 Head to a secluded area in Wisconsin for your ideal honeymoon. 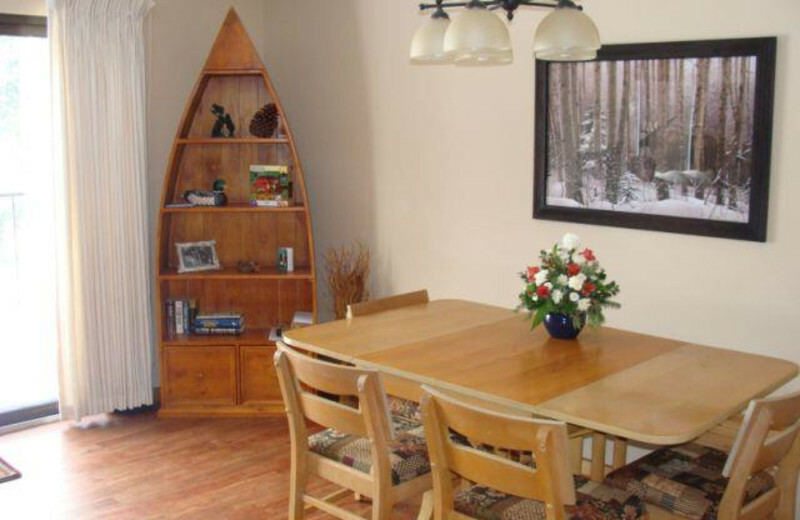 Rent a private condo and wake up each morning to views Lake Namakagon. Bask in the beautiful views and the fresh air with plenty of thrilling water sports and fishing during the day. 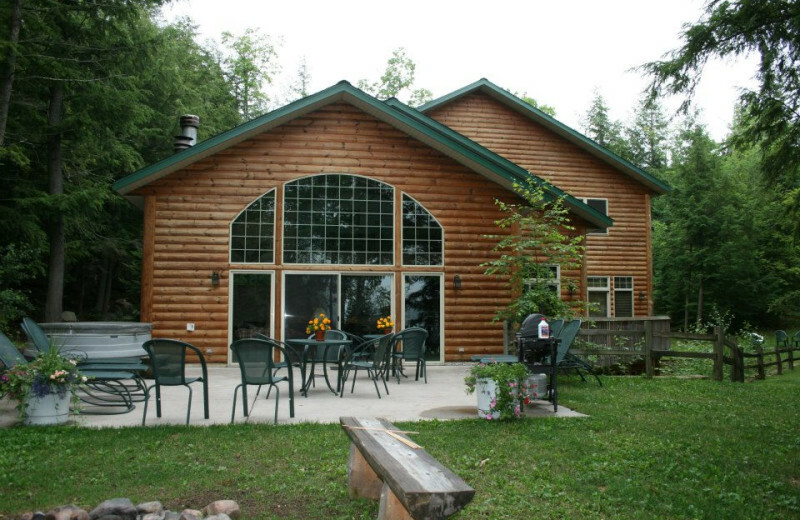 At night, enjoy watching the stars in the night sky or start planning your lives together in one of the hot tubs! 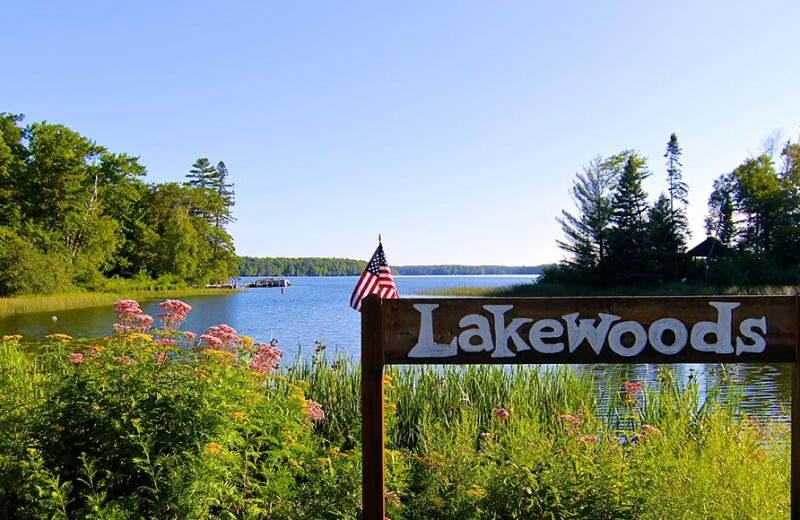 Lakewood's Northwoods lake homes, located on beautiful Lake Namakagon, are either a short distance into the woods or they overlook Lakewoods Bay. 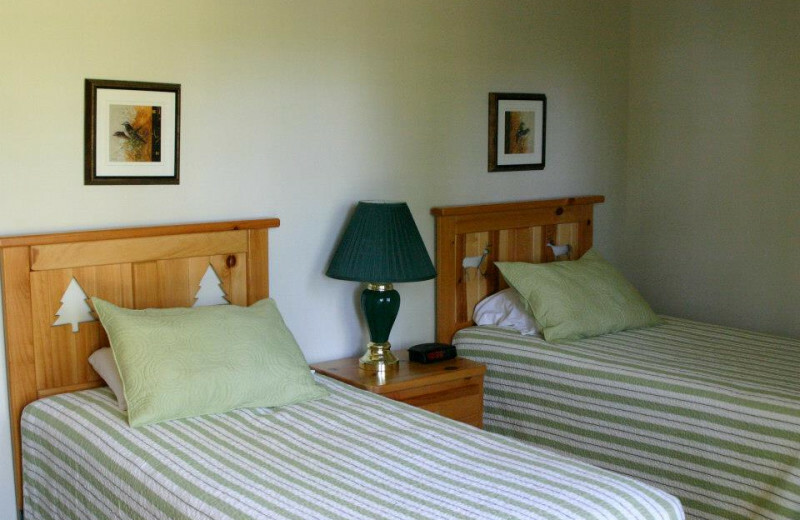 All are conveniently located either a short walk to the lodge and other facilities or next to the pristine beach. 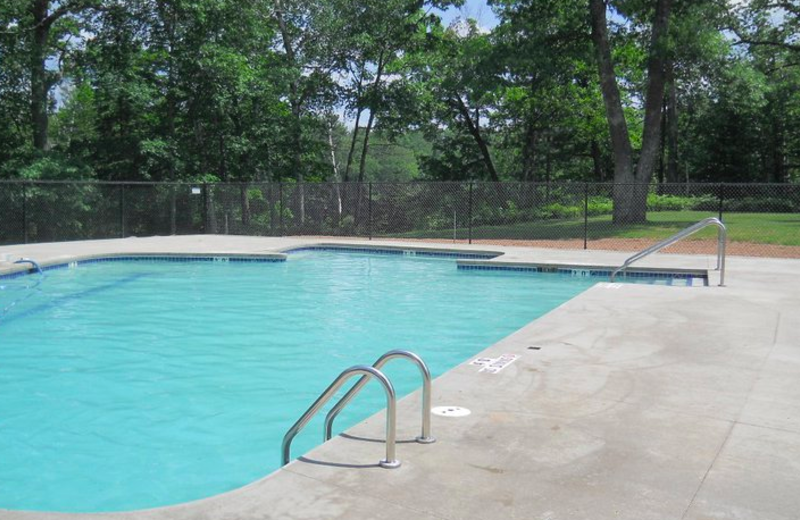 All of the units on the lake have a private or shared dock, charcoal grills, and some even have outdoor fire pits! 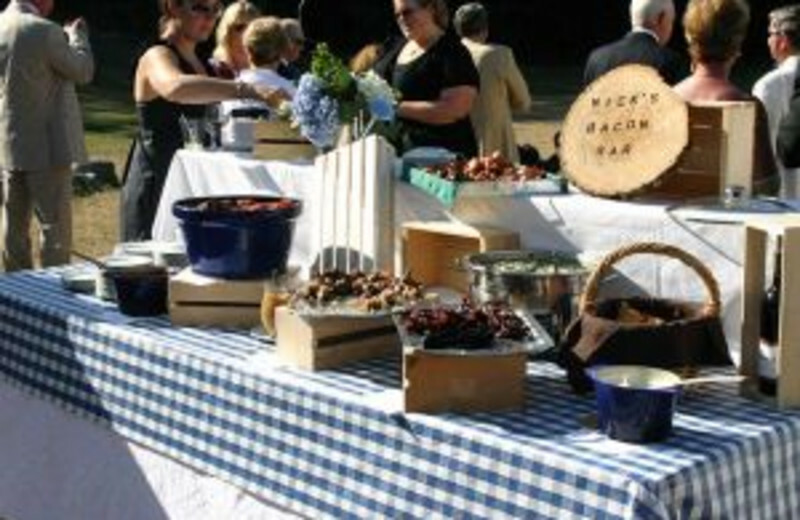 Bring your large group for a stupendous experience! 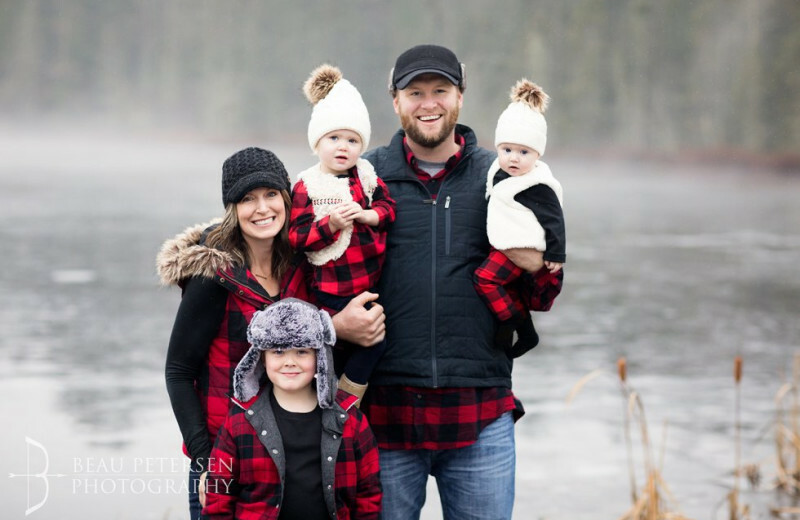 No matter what time of year you come, it's always the perfect time for a holiday vacation in Wisconsin! 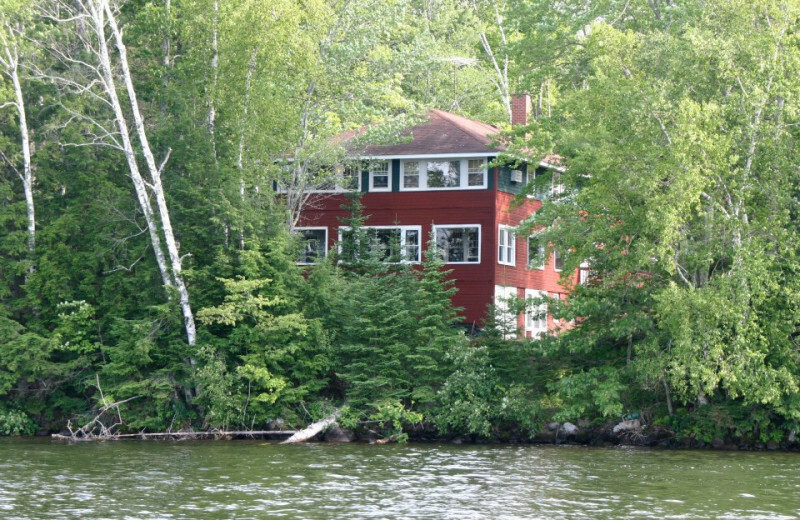 Book at vacation to Lakewoods Resort during the long summer weekends and get out on Lake Namakagon. Enjoy watersports and fishing! During the colder months, enjoy some first class skiing! 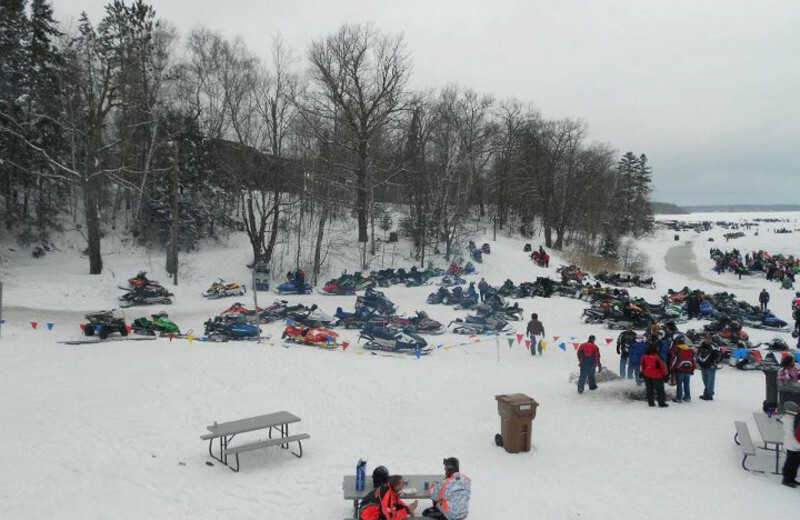 The start of the American Birkebeiner ski race is only a few miles away. Book your next vacation today. 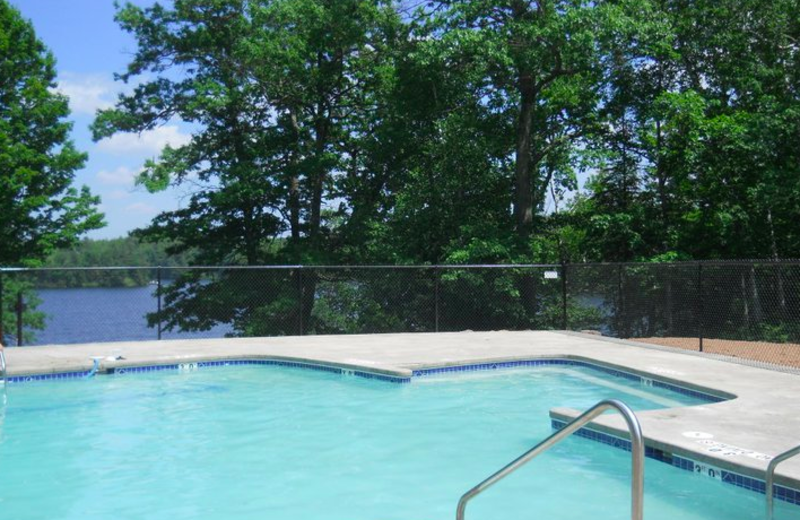 The 46 condominiums at Lakewoods Resort are all privately owned and all waiting for your ideal getaway. Choose a condo right beside the lake or poolside, or grab a golf villa overlooking the championship golf course. 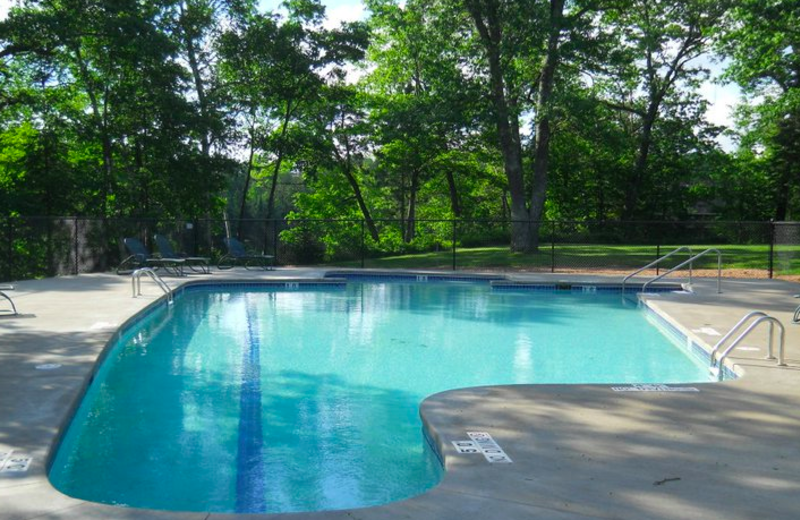 Each is just a short distance from the main resort and its fabulous restaurant and amenities! This property is ranked number 7 on Top Wisconsin Golf Courses. Read about it here.